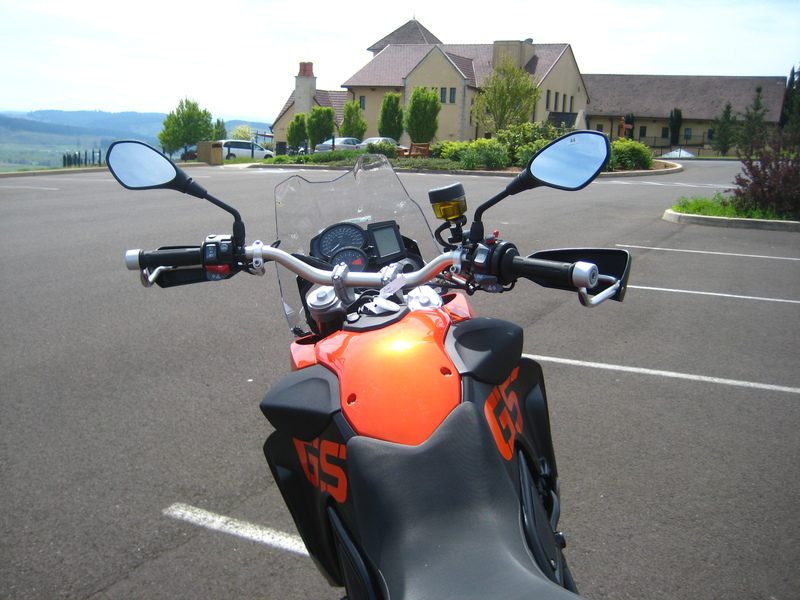 I’ve taken an F800GS out for a test ride at three different opportunities. Each time I ride it, I like it better. I see it as the perfect upgrade for the F650GS Dakar. The first time I took one out for a ride was a 2009 model in September 2009. Similar to my Dakar, this bike offers a nice riding position. Both the F800GS and my F650GS Dakar have Rotax made engines. But that is where the similarities end. 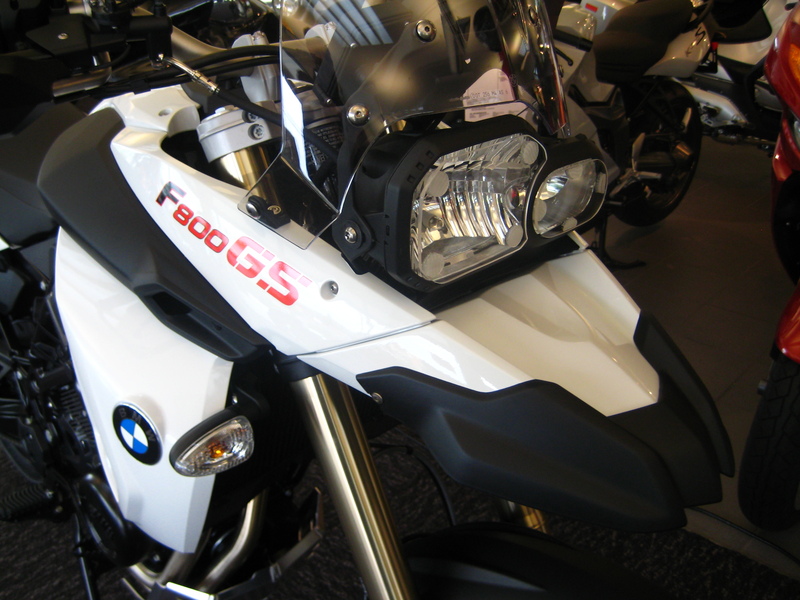 The F800GS has a smooth and linear acceleration, great torque at low RPM. It sounds great, and the vibrations are minimal. 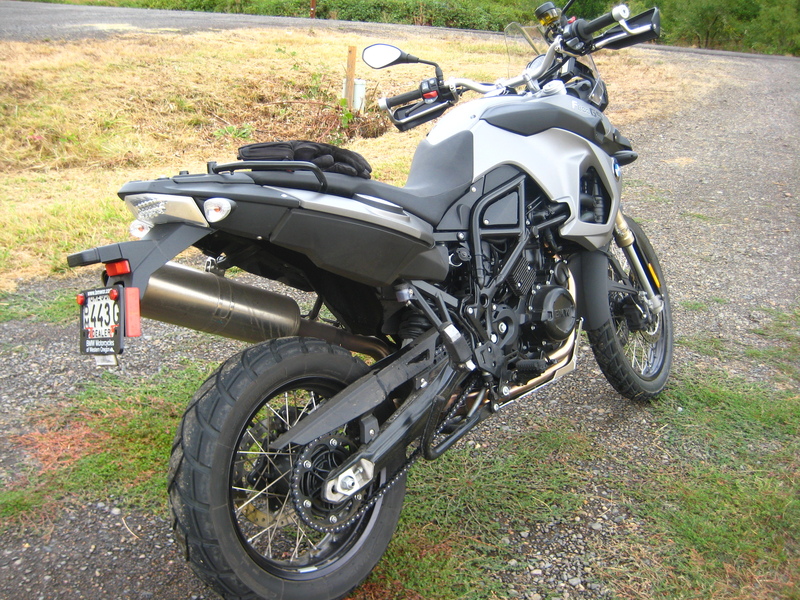 After I returned the F800GS back to the dealer and picked up my Dakar to ride it back home, well, what a difference. I had learned how much have I been missing. My Dakar was never the same since that time. 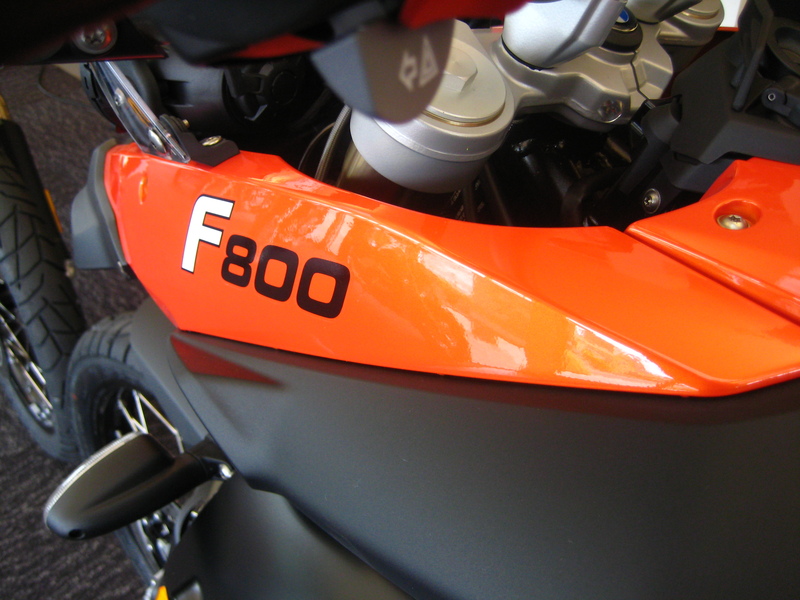 Well, so I had to take the F800GS for another test. After all, Orange could be a faster color, right? 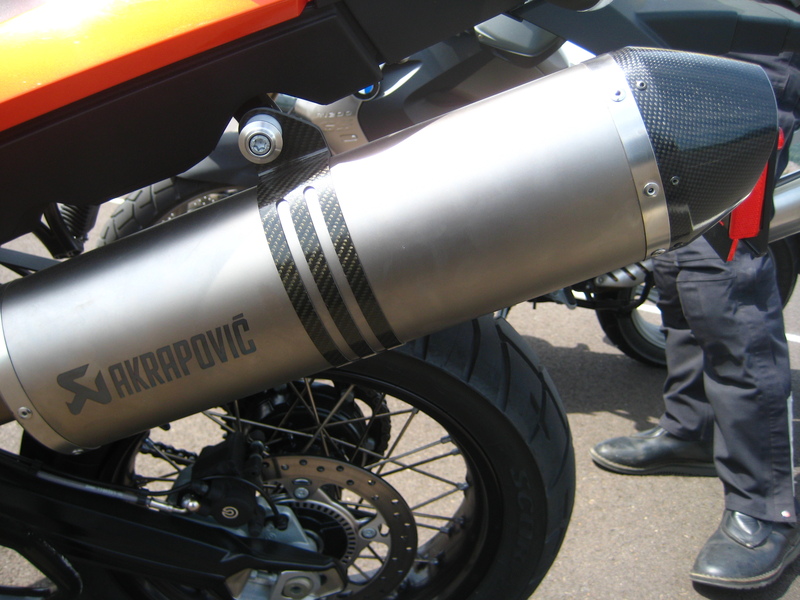 This demonstrator was equipped with an Akropovic slip-on exhaust. It sounded even better than the one I tested last year! And it felt smoother than the gray one as well. One of the complaints people have had about this bike is the surge on acceleration when coming out of a stop when applying a light twist action of the throttle, or when trying to cruise at low speeds – a by-product of fuel injection, designed to run lean to comply with environmental legislation. Some claim an aftermarket exhaust improves it. Others have updated the fuel map on the bike’s computer, with marginal changes to this issue. And there are a few others who have used a plug-in product that tricks the bike into sensing ambient temperature a few degrees colder than it actually is, tricking the fuel system into delivering a slightly richer mixture across the spectrum. Most owners claim this is the real solution to the surge. One of the F800GS’s major flaws, which is only applicable to someone who plans to use this bike on serious off-road situations, is that it lacks a more dirt oriented suspension. It seems like this is one problem across the spectrum of the BMW line up. The reality is that only very few people ever take this bike off road. So the minority who wants to ride it off-road, seriously, need to invest on suspension upgrades. Would I buy this bike? Most definitely. This bike is on my short list of candidates to be added to my garage. Specifically, I see it as an update to the Dakar. This entry was posted in Bike Reviews. Bookmark the permalink. Thanks Gal. That was a long time ago. It is time for me to ride this bike again and write a proper review.